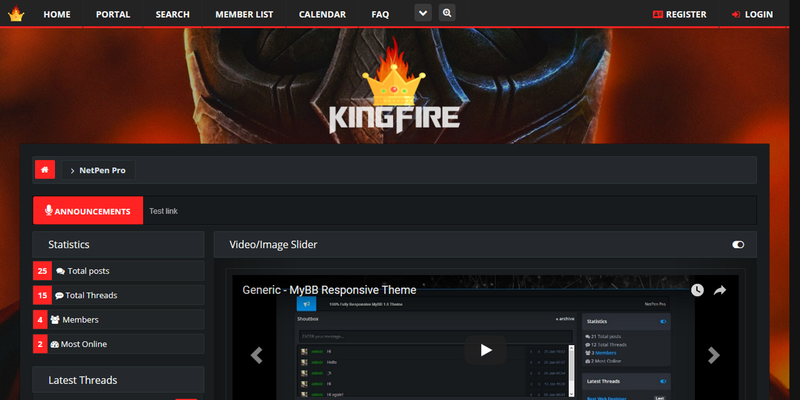 KingFire is Premium, Dark, Responsive MyBB 1.8 Theme. 4 color combinations. It relies almost 100% on Bootstrap 3 with minimum overrides and it's 99% tables. If you are familiar with Bootstrap 3 it'll be like fun dealing with this MyBB theme. KingFire uses different css files related to colors, depending on what color combination you wish to edit. Very original and unique Dark Gaming Forum look.